Odometer is 57155 miles below market average! Recent Arrival! Clean CARFAX. 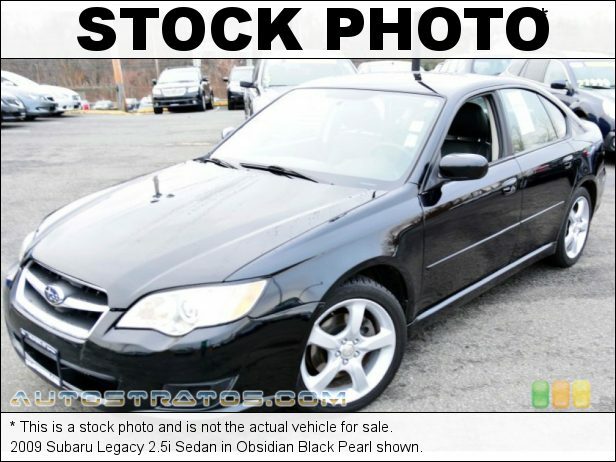 2009 Subaru Legacy 2.5i Special Edition 4D Sedan AWD 4-Speed Automatic 2.5L H4 SMPI SOHC 20/26 City/Highway MPG Enjoy the benefits of a lifetime powertrain warranty on all pre-owned Acura, Honda, Hyundai, INFINITI, Kia, Lexus, Nissan, Subaru, and Toyota vehicles with less than 55,000 miles on the odometer that are 5 years old or newer. Speak with one of our customer friendly Sales professionals for more details. Warranty coverage like this can only be found at Dan Perkins Subaru of Milford! Visit us at www.danperkinssubaru.com, or call us at 866-979-1012!